Jesper Andersen is, without doubt, one of Europe's brightest minds when it comes to PR measurement.We had the pleasure to first work with him during the fourth edition of the Global PR Summit Istanbul. Based on the incredible feedback from delegates on his incredible workshop on getting started with PR measurement, we decided to include Jesper as a workshop leader at our Global PR Summit Middle East 4 in Riyadh and the Global PR Summit Belgrade. 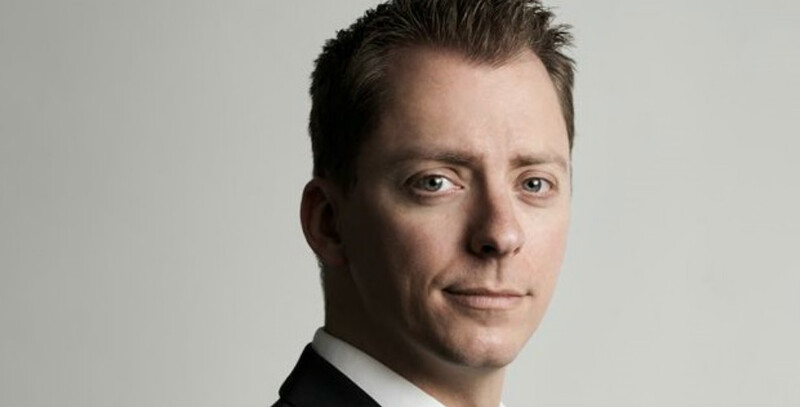 Jesper is the managing director and lead strategist of Quantum Public Relations, a Danish consultancy specialised in communication measurement and evaluation. By creating insights, Quantum Public Relations provide clients with ways to improve their communication to help them fulfil their purpose and reach business objectives. For the past decade, he has worked in Public Relations for some of the largest brands in the Nordics and been the head of press relations for VisitDenmark and NCC Construction. He is a popular guest speaker and has been a keynote and panel participant at e.g. Effekt Agenda 2016 and AMEC Summit 2016. Jesper does consultancy for both private companies, public sector institutions and NGO’s – including the European Union’s Regional Development Fund and Interreg co-operation. In 2016, Lissted in the UK put Jesper at number 83 on the list of the Top 100 PR Measurement Influencers in the world. Jesper, what is the best way to start with PR measurement within an organization? Everything starts with the objective. What are you trying to do? Often, you can keep asking the question ‘why?’ many times over, like peeling away layers of an onion, until you finally reach the heart of what you are trying to do and the reason you are doing it. The second step is to make sure that your communications objective is aligned with and directly related to your overall business or organisational objective. The only way you can measure if your communication had any impact on the overall objective is if you start out by planning your communication with the support of that business objective in mind. Third, once your communication objective and business objective are coordinated, you must plan your strategy and your activities and finally how you are going to measure them. Setting clear objectives using the SMART method must be done before you start communicating – otherwise you will not be able to measure what effect – if any – your work had. And finally, remember to start small but start now. You will learn from your first results, which can be scaled up if they are a success and you can build from there. If not, you try again with a different strategy. What are some of the mistakes that corporations do when it comes to measurement? Unfortunately, a common mistake is to only measure what is easy to count – like press clippings, Facebook likes or the number of newsletter subscribers. If you really want to measure the effect of communication you must look at how your communication is affecting the target audience – are you influencing their opinions, knowledge, or actions? That will often require the use of both quantitative and qualitative methods. Another common mistake is to set poor objectives – or not have any at all. Sometimes this points to the lack of a clear strategy in general. It is practically impossible to deliver measurable communications results for a company that has a cliché for a mission statement and do not elaborate their business objective beyond e.g. ‘We want to be the number one service provider in our industry’. Sadly, a lot of communication managers are uncomfortable demanding more specific and detailed objectives that they can actually act on and so they do their best trying to navigate with only a vague idea of how they can actually support the growth and success of the company. What is your advice to those that still do not measure the effects of their PR campaigns? That depends on why they are not measuring? If they simply lack the knowledge about where or how to start, I would suggest seeking out information. Organisations like AMEC – the international Association for the Measurement and Evaluation of Communication – have excellent websites full of free guides, frameworks and case studies that are a great place to start. If it is a question of resources, I’d suggest once again to start small. You don’t need to be measuring everything from the get go. Focus on a corner of your business where you can see a clear need for improvement and a way to use communication to accomplish a goal or solve a problem. Use that as a pilot to get some experience and apply what you learn going forward. But if the problem is fear – which is not uncommon – I would suggest trying to reframe the issue. A lot of communication managers are afraid to start measuring because if they actually start it might be revealed that what they have been doing for years has had little or no verifiable effect. Thus, they don’t start. The way to solve that is to reframe the situation: Measuring and evaluating communication should be all about learning how to improve in the future – not about assigning blame for the past. What are some of the PR trends that you see coming up in the next year or two? First of all, I think we will continue to see more integrated campaigns. And by integrated I am not just talking about using multiple PR channels like social media, newsletters and traditional media publicity mixed into one campaign. I think we will see a greater integration between many of the touchpoints that a customer may have with a company or organisation; PR, marketing, customer services and point-of-sale. The traditional silos are coming down and I think we will see a lot more integration for maximum effect in the future. The second trend, I am keeping an eye on, is micro-influencers. PR can learn a thing or two from marketing about how we identify relevant voices to carry our messages to our audience, and I think the notion of micro-influencers that can reach very specific but smaller audiences will be a welcome change from the usual PR carpet bombing of national media where spillage is a common problem. What are your tips for building an online reputation? I don’t distinguish between ‘online’ reputation and regular reputation – but I understand why you ask. In my opinion, there is a big difference between building a reputation and doing ‘online reputation management’. The latter is a discipline closely related to Search Engine Optimisation and in many respects, deals mostly with ‘cleaning up’ negative search results that may have come as the result of a crisis or scandal. So, it is a reactive process focused on damage control. Building a reputation, in my opinion, is all about being generous; share your knowledge, your ideas, your advice. You will draw people in, who will then get to know you for your expertise and later recommend you. Practically every thought leader I follow online has inspired me with their free advice and genuine desire to help others. As human beings, we react very strongly to that. Finally, what are your expectations for the Global PR Summit in Belgrade? Well, Kosta, being at the Global PR Summit in Istanbul recently was a blast and I expect nothing less in Belgrade. I really hope that I can get the audience engaged in a discussion about how we can measure the effect of communication. The workshop I am doing is very much focused on learning and I really want the delegates to leave the summit feeling energised, inspired and ready to take on new challenges.